The Best of the Day preview gets the week underway courtesy of tennis tips from Miami, with Nick Kyrgios squaring off against Dusan Lajovic. Final Thoughts: Controversial Aussie Nick Kyrgios is aiming to continue his recent form spike at the Miami Masters. Round of 32 opponent Dusan Lajovic, meanwhile, has his sights set on a second straight big scalp. Bouncing back from a first-round exit at the Australian Open – and the customary histrionics – Kyrgios won the Mexican Open. The 23-year-old beat Rafael Nadal, Stan Wawrinka and John Isner on his way to the final, where he trounced second seed Alexander Zverev in straight sets. 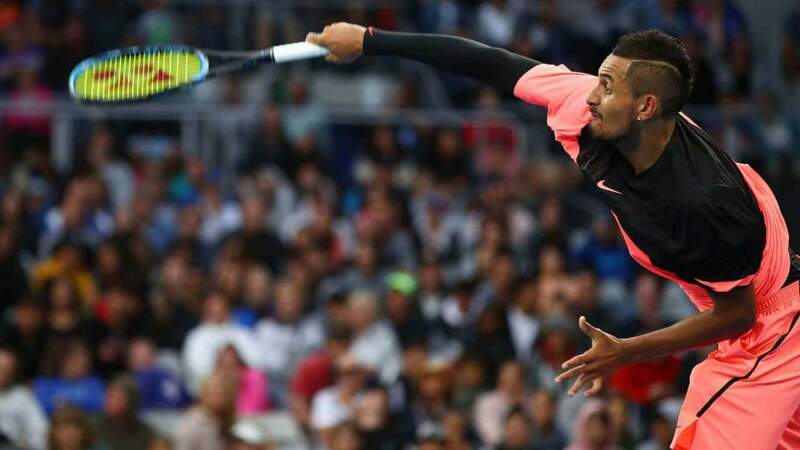 Australia's Nick Kyrgios beat world number three Alexander Zverev in straight sets to win the Mexican Open in Acapulco. But after seeing his ranking climb to No.33, Kyrgios was upset in the first round at Indian Wells by Philipp Kohlschreiber. Kyrgios put away Alexander Bublik 7-5 6-3 in his first assignment in Miami. But he has been unable to keep the negative headlines at bay, calling an umpire “a disgrace” during a doubles loss. Unheralded Serbian Lajovic outlasted Pablo Cuevas in a lengthy three-setter in the first round in Miami. But he is coming off one of the finest wins of his career, stunning fifth seed Kei Nishikori 2-6 6-2 6-3 in the second round. It was just his third win over a player ranked in the top 10. The 28-year-old, ranked 44th in the world, lost to Cuevas in the first round of this year’s Australian Open and has made a string of early tournament exits since. But he looks to be in great touch. The pair’s only previous meeting was at the same tournament last year. Kyrgios ran out a comfortable straight-sets winner. Kygrios made the fourth round in Miami last year, after reaching the semis in 2017-18. A capitulation never feels too far away with Kyrgios. But a three-set win over the dogged Lajovic looks a top-value option.